This was a really fun book. I had never read an Agatha Christie before and was glad to see one on the LOST list. 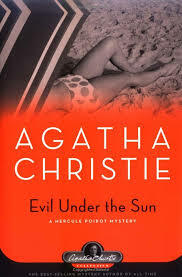 I’m guessing I would find all of Christie’s mysteries the same; lots of fun, lots of characters, and a surprise revelation at the end. I love that I never guessed who the killer was. Even when I purposely suspected the person who was least likely to be it, I still missed it. The setting of this book was fabulous! I wanted to be there. A resort hotel on a secluded island. It’s vacation season and the rich and famous have come out to play. For like a month. Whatever! Vacation for a month? (They are obviously not raising children). Anyway, lots of swimming, tanning, chatting with other guests and picnicing. It was very relaxing. There is, well, the island, and there is a large and diverse cast of characters. 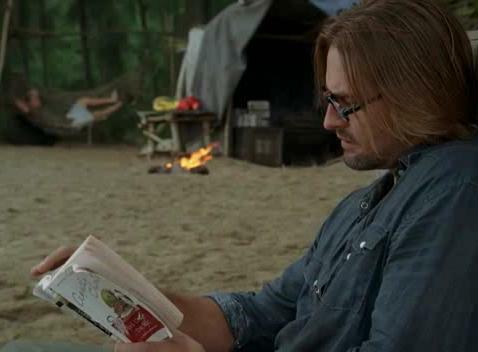 Sawyer is seen reading this one in a season 3 episode where the Losties themselves had a little mystery on their hands. In the episode “Expose”, a couple from the island turn up dead with no clues about them to indicate why. They are presumed murdered, perhaps poisoned, because there are no visible injuries. The cool little twist in the episode is that the two are not really dead, they are paralyzed for 12 hours after being bitten by a rare, poisonous spider. Unfortunately for them, they don’t begin to come out of their paralysis until shovels of dirt are flung on them for burial. By then it is too late, only the viewer can see their eyes opening. It was really eerie to watch. In the book, the murder victim, it turns out, isn’t dead either. Not when we think she is anyway. The sneaky, unlikely murderer killed her when we already thought she was dead. So the book and the episode have the “we thought you were dead but you weren’t” thing in common. I definitely recommend this one. It’s an excellent escape and I like the little romance that it ends with. I look forward to more Christie in the future, namely And Then There Were None and Murder on the Orient Express. Agatha Christie – definitely on my list!